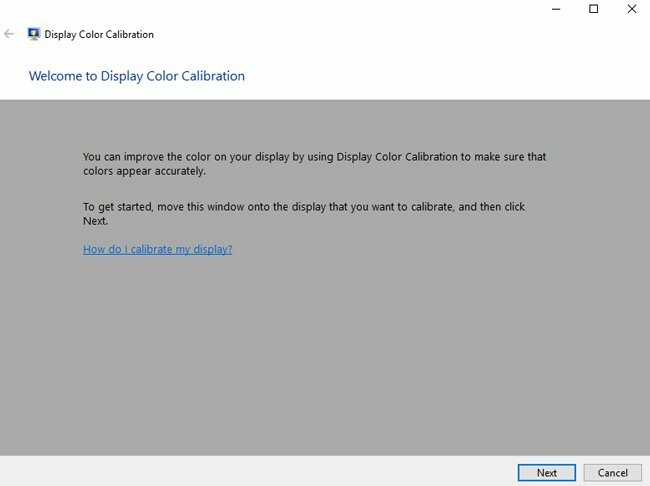 The Display Color Calibration tool (which is used to calibrate display of PC or laptop) is built into Windows 10 OS. It allows you to set colors depth, brightness and contrast of screen etc., and that makes working on PC more individual and comfortable. Note: In this article we are not getting deep into the professional screen calibration using third-party software or special equipment. 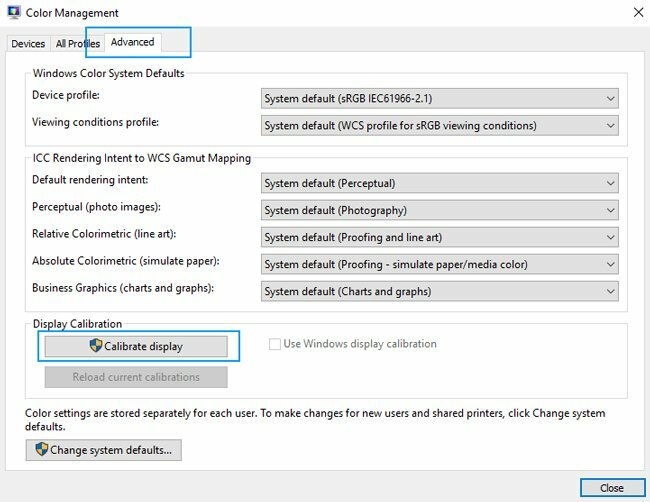 The instructions below show how to calibrate your monitor using Windows 10 built-in tools only (doesn’t require additional downloads). Instructions might be useful in case you prefer to calibrate the display of your PC or laptop in the way you like, or just noticed that your monitor started to work improperly and want to fix this. 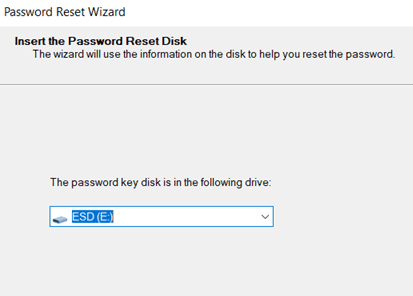 Important: All the instructions below should be performed using account with Administrator privileges. 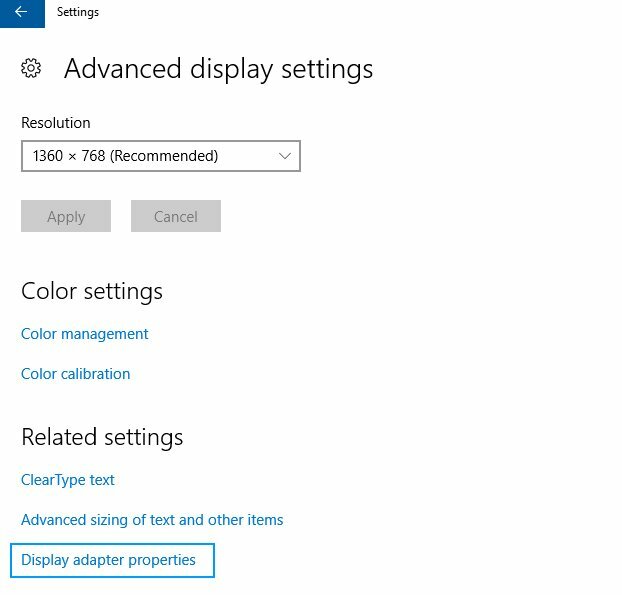 You can get to Windows 10 Display Color Calibration wizard by running a special command, press Win + R and type in dccw and click OK.
Go to Settings –> System –> Display –> Advanced display settings. 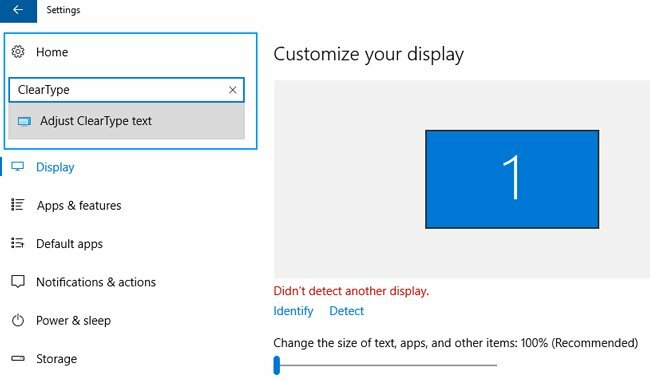 Scroll down a little bit and find Display adapter properties. 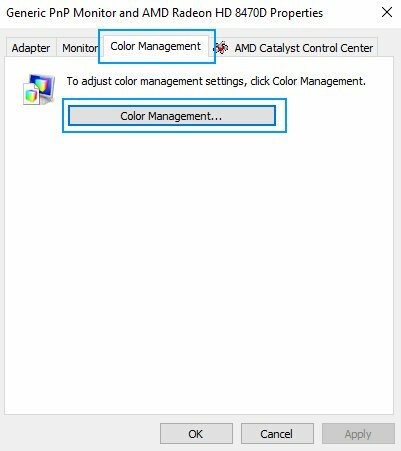 Find Color management tab in a newly appeared window and click on button. In a new Color Management window switch to Advanced tab. Press Calibrate display button in the bottom. 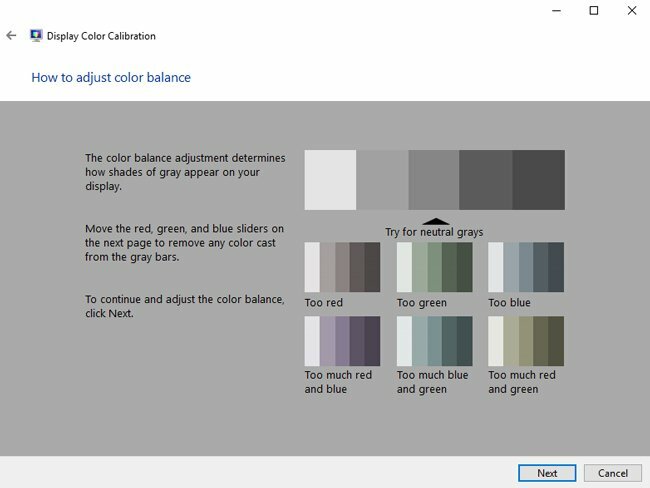 Now you got to Display Color Calibration wizard. Click Next. 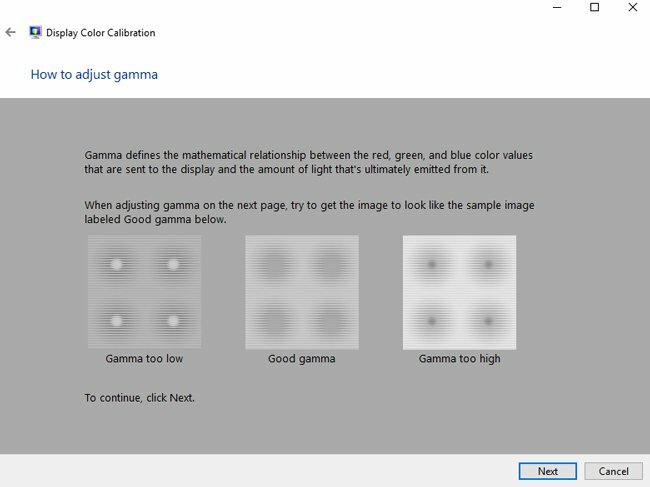 The first thing is to adjust gamma. 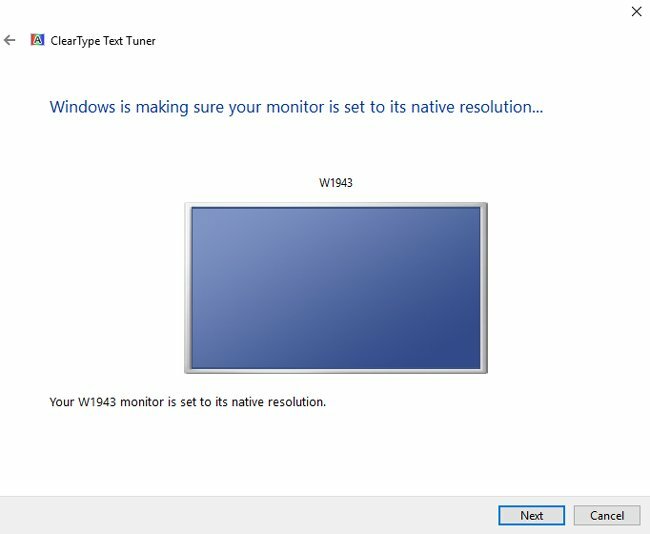 Before the adjusting, Windows will show you some sample images of correct calibration settings. Click Next. Try to set gamma as recommended by the instructions (but you can set it as you wish – it’s up to you). In case you don’t like the results, press Reset button and start adjusting again. 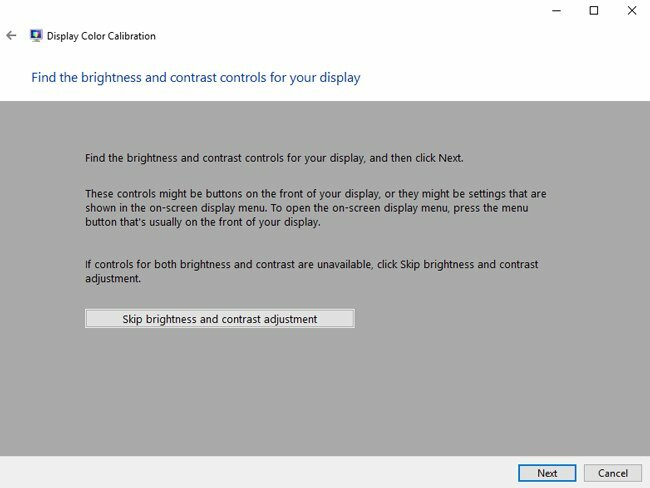 The next step is to set up the brightness and contrast by clicking Next (you have an option to skip adjustment by clicking the appropriate button). At the next step you need to use buttons on the front of your monitor. 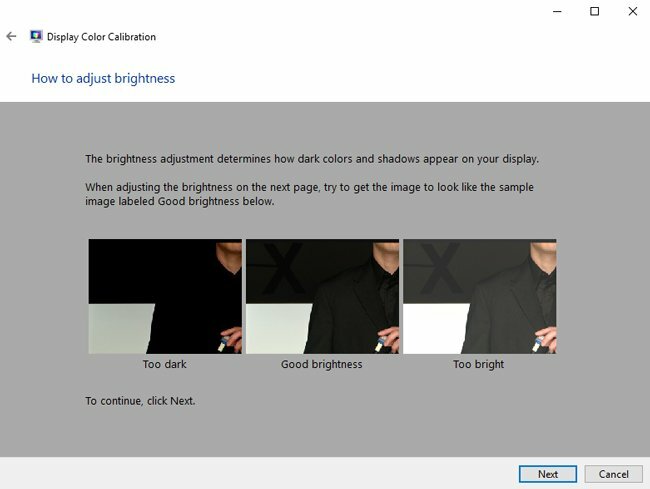 You need to check owner’s manual to find out how to change the brightness and contrast (this time Windows will show you only a few images that must be used to make an accurate brightness and contrast calibration by user). 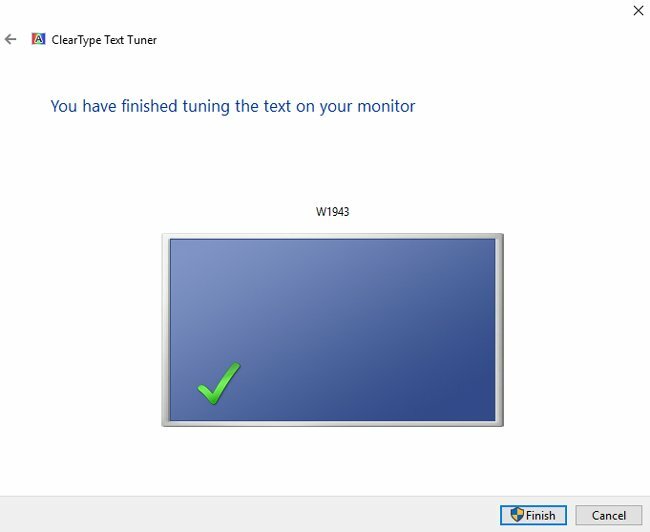 Click Next and follow the instructions on your screen and use sample images to configure monitor. The next step is color balance adjustment. This will be calibrated by the system, but you can change the color balance on your monitor if you want. 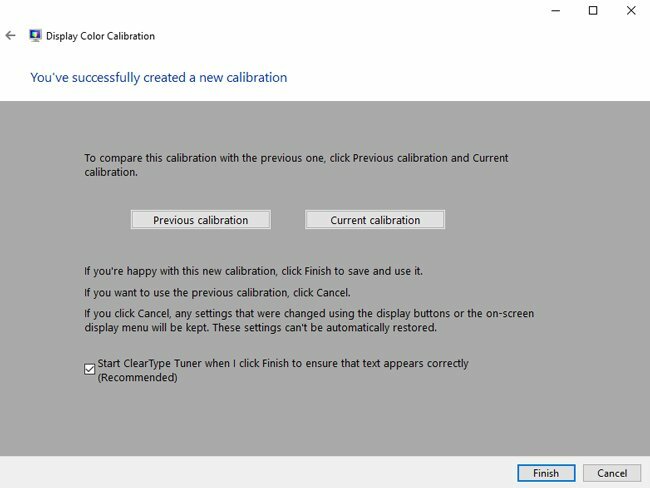 In the last window you can compare previous calibration vs current. To save the changes, click Finish (Cancel button will restore all settings). After the user press Finish button at the last step, the ClearType adjustment wizard appear. 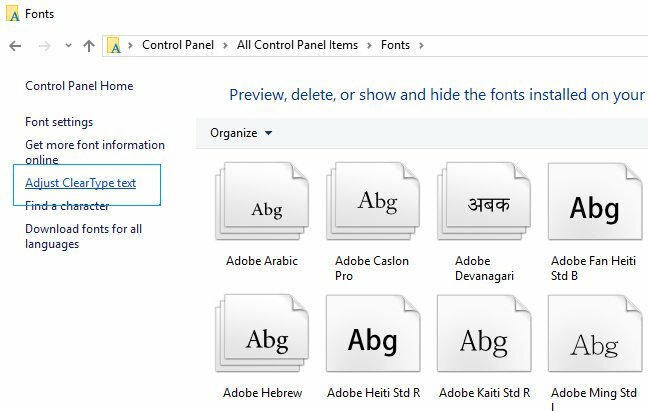 It can help you to configure fonts displaying on your machine. 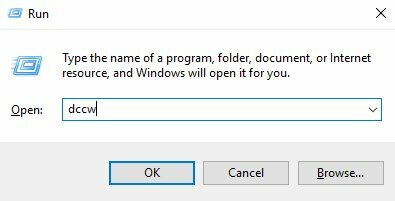 In case you have more than 1 monitor connected, Windows will propose you to configure ClearType for specific monitor. You can adjust settings for 1 specific monitor only, or for all the monitors that is connected. 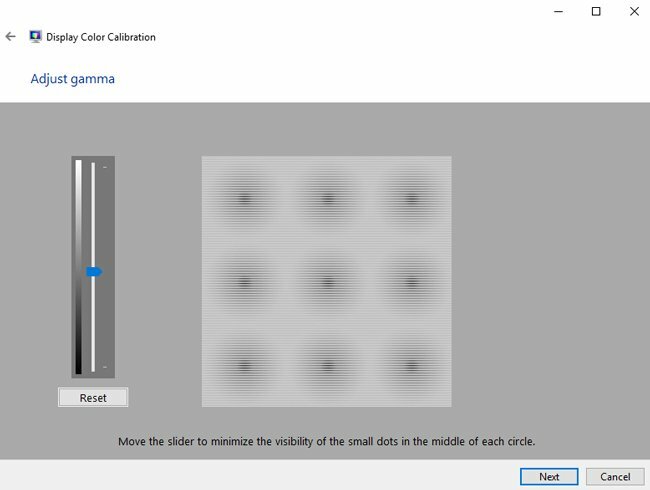 At the next step the wizard will check if your monitor is set to its optimal resolution (this parameter is extremely important for correct graphic elements displaying). After that the OS will propose you to choose among few texts with different parameters. You need to choose and click the one that is seems best for you. After that all fonts will be displayed according to your preferences. After the 1-st monitor is configured, the wizard will start to configure your 2-nd, 3-rd and other monitors. At the last step you will notice a message that says the process is finished. Press Win + R, type in and cttune and run the command. Open Settings and type in ClearType in the search field. After that you will notice Adjust ClearType text option appeared near the search field. Press Win + R, type in and run control. In newly appeared window go to Fonts. In the left part of window click on Adjust ClearType text. 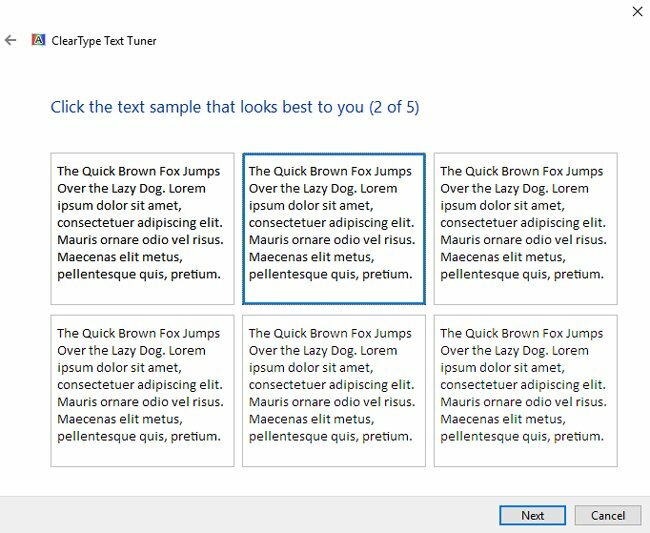 After that you need to configure fonts as described above. Spend a few minutes to calibrate your screens more accurate – it will let you to use your device in a much more comfortable way.